Played by: Ennio Styles, Mukatsuku Records Chart, Kev Beadle, Claus, RUSTAM OSPANOFF., Juno Recommends Broken Beat Nu Jazz, D-Pulse, Tommy Finger Jr.
Review: Disco-funk excursionists Cro-Magnon have become notable references within the ever-widening world of tribal, percussive dance music. It seems only natural that they should be remixed by like-minded artists such as the Idjut Boys, a London duo comprised of Conrad McDonnell and Dan Tyler, who have been avid remixers of everyone from Chez Damier to Lindstrom. On the A-Side, the main remix is a true voyage into the world of synthesizers, bongos and molding drum slices, one which will take a new shape with every listen. The dub mix on the B-side takes a different approach and delves deeper into the percussion, stopping and starting continuously, riding in and out of breaks and rumbling basslines. Great takes on the original! 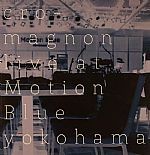 Review: Cro Magnon is a three piece band project from members of the legendary Japanese hip-hop act, Loop Junktion. The members include Shige (drum and percussion), Tuyoshi (guitar, bass, sampler) and Takumi (keys). After the period of Loop Junktion they started the Cro Magnon project to expand their musical infinite interest. "Great Triangle" is released on Jazzy Sport. Review: Following the success of there EP release, the amazing Cro Magnon steps up once again to the Jazzy Sport imprint for a full length album. Here we get a treat to live disco with their special twist on it. The tracks from the previous EP are featured on this as well as 9 new cuts, that have been causing mayhem on the floor for the past two months on CDR when played by Gilles Peterson, Benji B & Alex Attias. Review: Since rising from the ashes of Loop Junktion in 2003, Japanese four-piece Cro Magnon have composed gem after future jazz gem. Now on their fifth album, the team come correct once again... V is an exercise in wide-armed, wide-screened groove magic as we flip from the lounge-lazing dreams of "Seductive World" to the off-beat Bonde Role-style jauntiness of "Bonita" via the frenetic, thunder-like Henrik Schwarz-style drama of "Patchwork Jazz" - and back again. 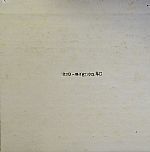 Tighter than ever before, Cro Magnon albums keep getting better and better. Played by: Juno Recommends Broken Beat Nu Jazz, Tommy Finger Jr.
Grooveman Spot - "Jelly Beans"
DJ Mitsu The Beats - "Beats Of Luv"